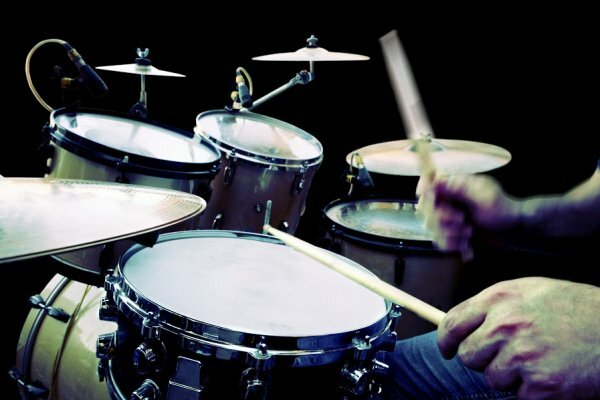 (Open Culture) An old musician’s joke goes “there are three kinds of drummers in the world—those who can count and those who can’t.” But perhaps there is an even more global divide. Perhaps there are three kinds of people in the world—those who can drum and those who can’t. Perhaps, as the promotional video below from GE suggests, drummers have fundamentally different brains than the rest of us. Today we highlight the scientific research into drummers’ brains, an expanding area of neuroscience and psychology that disproves a host of dumb drummer jokes. Neuroscientist David Eagleman, a renaissance researcher The New Yorker calls“a man obsessed with time,” found this out in an experiment he conducted with various professional drummers at Brian Eno’s studio. It was Eno who theorized that drummers have a unique mental makeup, and it turns out “Eno was right: drummers do have different brains from the rest.” Eagleman’s test showed “a huge statistical difference between the drummers’ timing and that of test subjects.” Says Eagleman, “Now we know that there is something anatomically different about them.” Their ability to keep time gives them an intuitive understanding of the rhythmic patterns they perceive all around them. That difference can be annoying—like the pain of having perfect pitch in a perpetually off-key world. But drumming ultimately has therapeutic value, providing the emotional and physical benefits collectively known as “drummer’s high,” an endorphin rush that can only be stimulated by playing music, not simply listening to it. In addition to increasing people’s pain thresholds, Oxford psychologists found, the endorphin-filled act of drumming increases positive emotions and leads people to work together in a more cooperative fashion. Clash drummer Topper Headon discusses the therapeutic aspect of drumming in a short BBC interview above. He also calls drumming a “primeval” and distinctly, universally human activity. Former Grateful Dead drummer Mickey Hart and neuroscientist Adam Gazzaley have high hopes for the science of rhythm. Hart, who has powered a light show with his brainwaves in concerts with his own band, discusses the “power” of rhythm to move crowds and bring Alzheimer’s patients back into the present moment. Whether we can train ourselves to think and feel like drummers may be debatable. But as for whether drummers really do think in ways non-drummers can’t, consider the neuroscience of Stewart Copeland’s polyrhythmic beats, and the work of Terry Bozzio (below) playing the largest drumkit you’ve ever seen.
? Soulful Photos Of Elderly Couple Prove There’s No Age Limit To Being In Love Woman’s Viral Post Reveals What Happens When You Change Bad Habits ?